Jedi has finally released Official Remix Os BETA version for PC ( after testing the alpha version ) . The Beta version comes with many new features and major bug fixes over the alpha one . [ Recalling again ] The company which was founded by three Google ex-employees . They has developed Remix OS and thanks to their partnership with the Android-x86 project which enables Remix os to Run on Any PC regardless any major Specification . 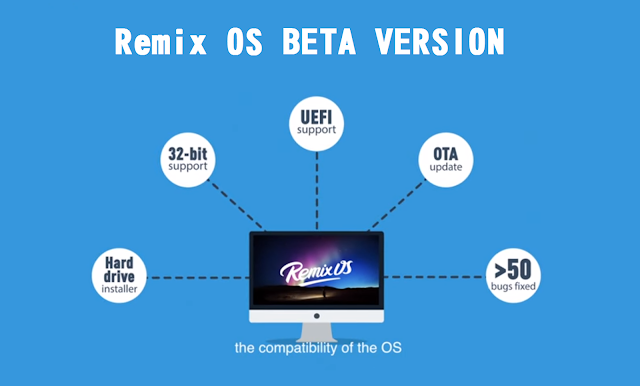 The Beta version of Remix Os is now available for Download , you can Download it from below link .